In London there are many different choices for food and drinks and often we are spoilt for choice. Unfortunately Mexican is not always an easy cuisine to enjoy. Other than a handful of restaurants and chains like Wahaca we struggle to get decent Mexican food in London. So luckily for us at Exmouth Market in Clerkenwell there is a new boy on the block. 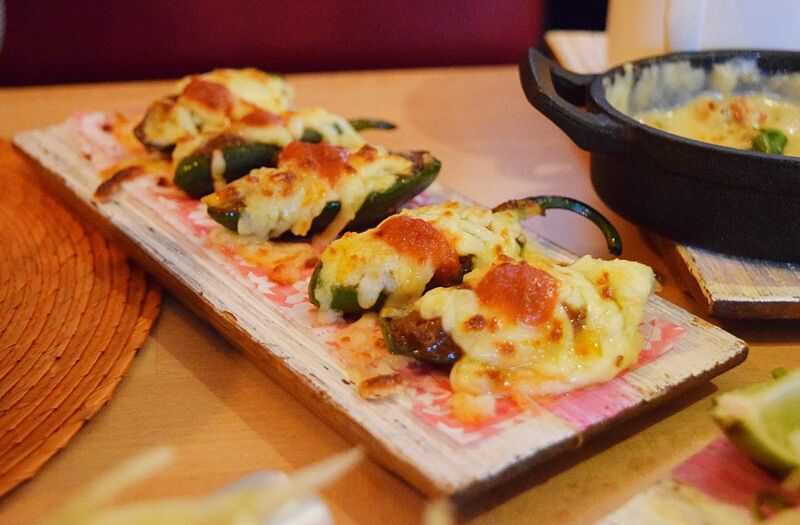 Paula and I recently visited to sample the Mexican delights on offer at Cielo Blanco. 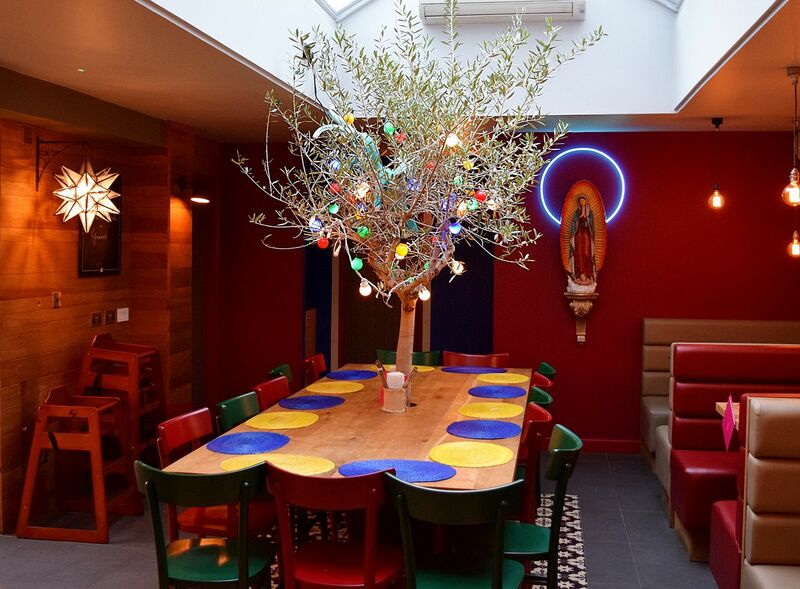 Inside as you might expect from a modern Mexican restaurant it is bright, colourful and bold. It takes inspiration from renowned artist Frida Kahlo’s house in Mexico with ceramic tiling, bright bohemian designs & Mexican folk art. The focal point of the dining area is a giant tree that sprouts from a large communal table, whilst large skylights flood the restaurant with the natural light which gives the restaurant it’s name – Cielo Blanco, which is Spanish for ‘white sky’. We were seated at a large booth and handed the food menus, you’ll find the drinks menus handily attached to the table with a magnet fix. Something you might notice is if you have not eaten at a Mexican or familiar with Mexican food names is that you might need help with the menu. As a huge Mexican food fan I was excited to give a mixture of smaller street food dishes a try and as Paula had never eaten Mexican dishes before we went for a good mix of meat and fish based ones. 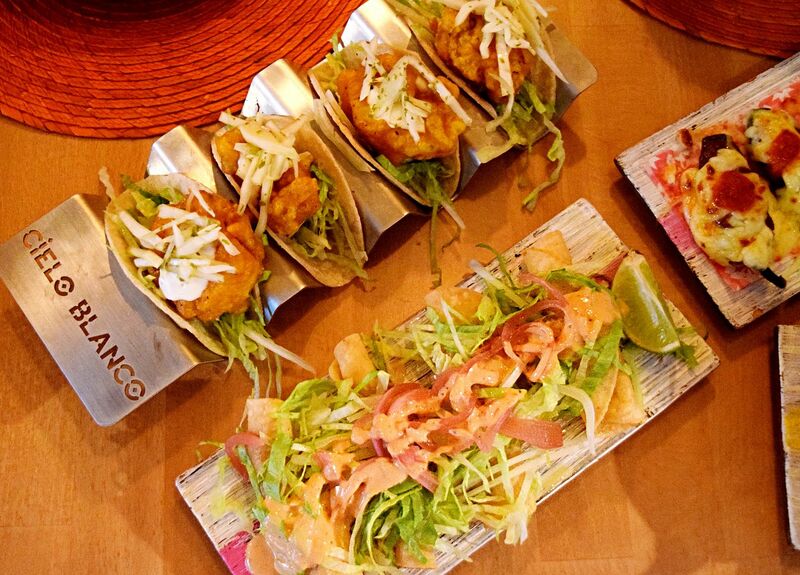 The menu is split into different sections at Cielo Blanco, so you can go for a street food dishes, more of a sharing platter or main large plates. 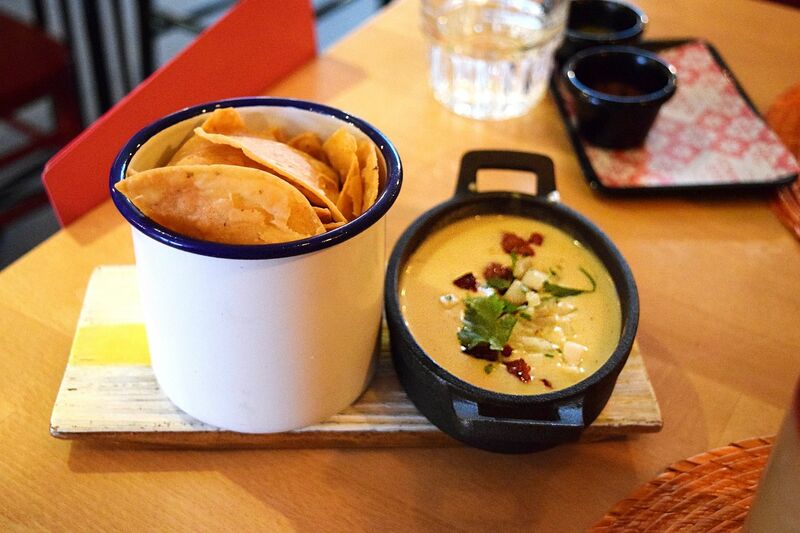 For starters we chose the Queso fundido, which was a melted cheese and crispy chorizo based dip with homemade tortilla chips. As you might expect from a Mexican cheese dip, the cheese isn’t too strong but mixed well with the smoky and meaty chorizo. And don’t worry they top up your tortilla chips and it is also served with a couple of different salsa’s, which have a good kick to them. For drinks Paula and I ordered a classic Margarita and also a Sangria Mexicana. Paula’s margarita was very smooth, slightly oaky and mixed long enough to be nice and cold while served without ice. 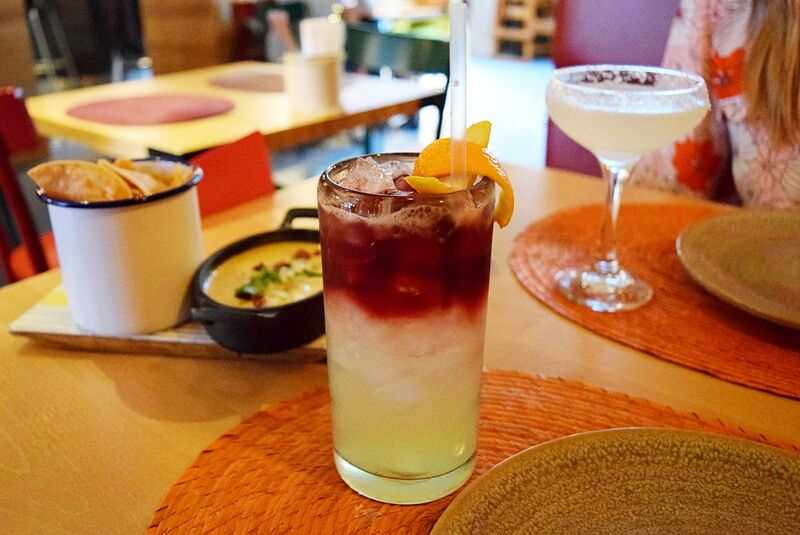 The Sangria Mexicana is as by the sounds of it a tequila based sangria. Cielo Blanco offer you the choice between red or white wine Sangria, I went for red and it was really good, the lemon and tequila matched really well with the red wine sangria. It actually went really well with the starter and would have happily had a couple more with dinner. As a huge chicken tinga tacos since visiting Mexico I was really looking forward to the tacos, served in a soft taco. The chicken was tender and you could taste the tomatoes, onions, garlic and smoked jalapeños peppers in the sauce which were great. You can tell they top off with a squeeze of lime as it’s a finishing taste to the tacos. The beer-battered fish tacos were definitely Paula’s favourite dish, fried cod chunks served in soft tacos with a slightly hot sauce and served with onions to garnish. 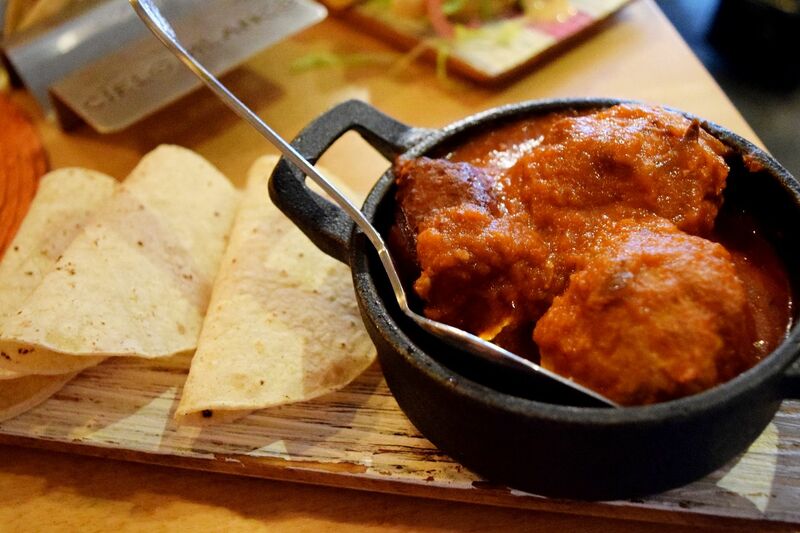 The largest and meatiest dish we ordered were the pork & chorizo meatballs, served in a spicy tomato based sauce. The meatballs were good, but were large and to be honest we struggled to finish them. They are also served with smaller tortilla’s so you can enjoy separately or as a wrap. Achiote-marinated chicken flautas were slightly spiced chicken fillets in small crispy tortillas. Like other taquito’s they were topped with shredded lettuce and pickled onion slices, they were not Paula or my favourites but if you like flautas you will likely enjoy these. 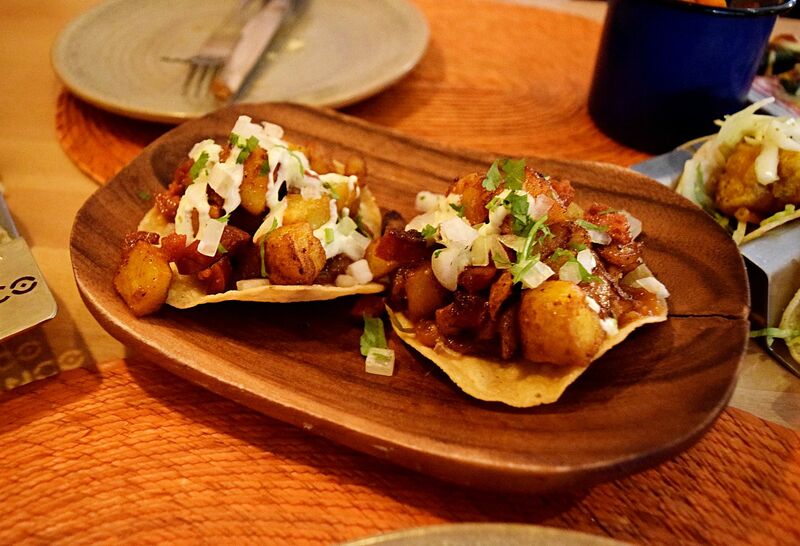 The chorizo picante & potato tostadas were fair sized and were large cubes of sauteed potatoes and lightly fried chorizo on a crispy tortilla, served with fresh sauces. These tostadas were probably our second favourite dish, they were also very filling so you wouldn’t need a double serving. Chiles rellenos were little chillies or I should I say big if we are talking hotness. Filled with spiced minced meat and topped off with cheese, there were something I would advise if you are not a spice fan or cannot handle hot sauce to bypass. We also ordered a side of sweet potato fries, as you would expect from sweet fries they were nice and crispy, the fries comes with a spicy jalapeño alioli. To accompany our main course, Paula also had a cocktail from the menu the Tijuana Smash. A fruity tequila based cocktail served long with crushed ice. You could taste all of the best ingredients, crushed strawberries, pineapples and a decent tequila, it was like a fruity punch. I was even a little jealous when I tried it. I ordered a Mai Tai during the main course, if you like a strong Mai Tai this is definitely your kind of cocktail, it really has a grown up kick to it and is served short. 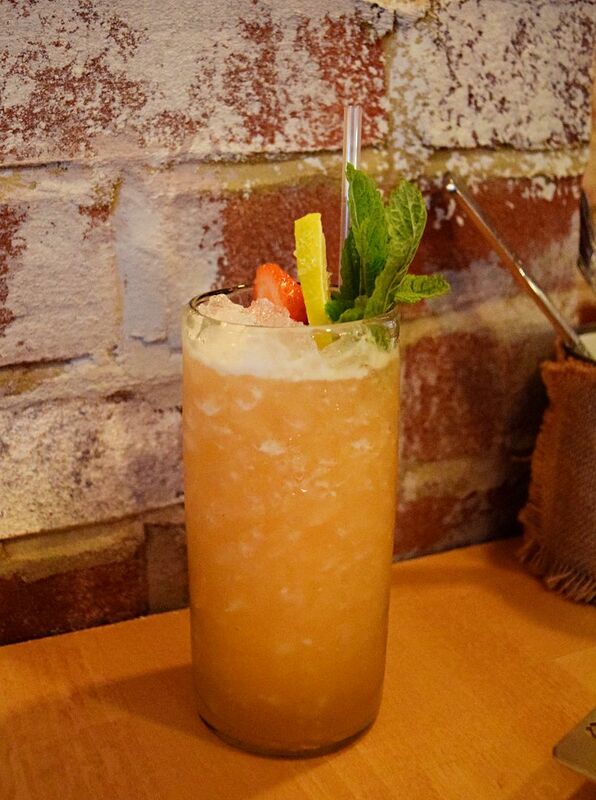 If you like a lighter fruity drink I suggest you go for the Tijuana Smash instead. With all the rich and spicy food, Paula and I decided to test drive the desserts, as a regular reader you might have noticed we are huge fans of churros. So we had to order these to share. These are the chunkiest churros I have ever had, served in a large cup sprinkled with cinnamon and sugar, they were awesome and were served with thick rich dark chocolate dipping sauce. The churros are a must order. We also ordered the XO affogato to try. 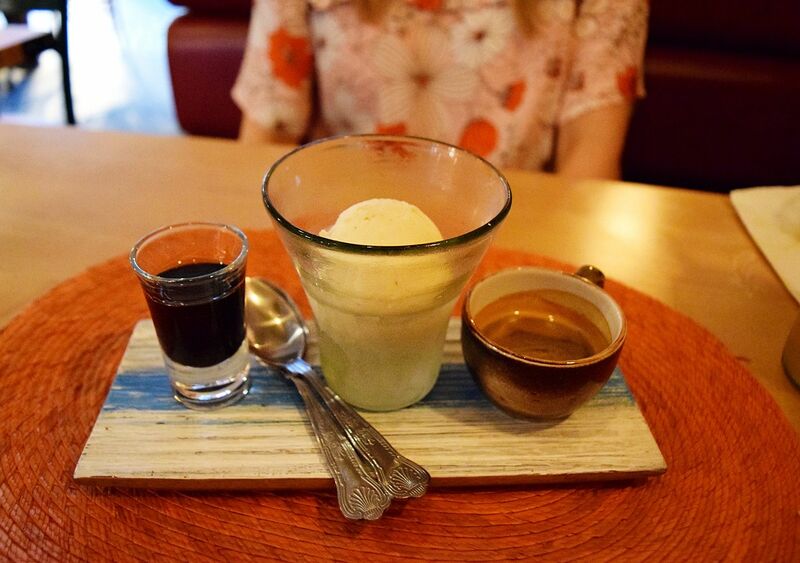 Vanilla ice cream, Patron XO Cafe and a strong shot of espresso. As I am not a fan of coffee it might seem a silly choice but pouring over the Patron XO Cafe over the ice cream was great. Sometimes something simple like this is the perfect dessert to cut through the filling rich Mexican mains. Cielo Blanco is Mexican food all for a good price. The cocktails were great and I would happily go back. Downstairs in Cielo Blanco there is also a basement bar that is open daily from 4pm. 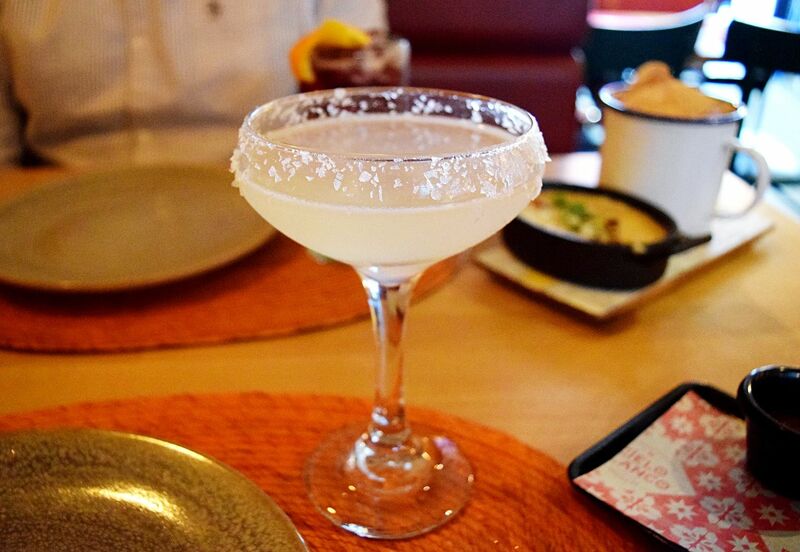 It’s a very cool space and serves up a an agave paradise of tequilas and Mezcals. I highly recommend trying out the churros, the chicken tinga and if you are spice fan go for the Chiles rellenos. 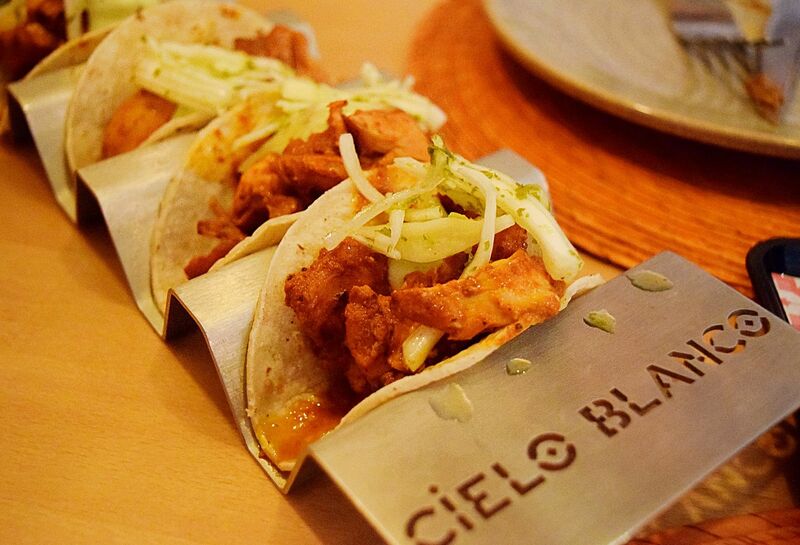 For more info or to view the menu visit cieloblanco.co.uk. They also have a restaurant in Leeds if you are not London-based. 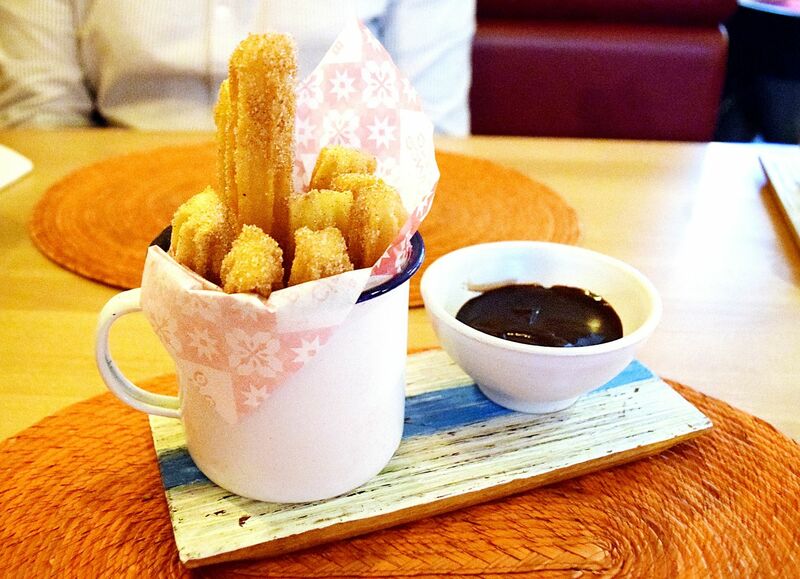 Ooh churros – those ones look so yummy!